Do you live in Venus? 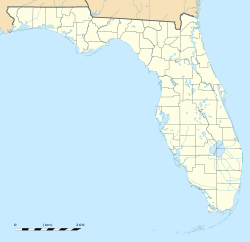 Lake Placid, Florida is the nearest town to the north. Palmdale, Florida, another unincorporated community, is to the south. Hunting and fishing are popular recreations. The Venus Project has its research center located here, and is derived from the name of the community. According to the Köppen climate classification, Venus has a humid subtropical climate (Cfa) consisting of hot, humid summers with frequent rainfall and warm, dry winters. Venus has a distinct precipitation pattern of June through September being the wet season and October through May being the dry season. Venus is about 25 miles from Lake Okeechobee and about 60 miles from either the west coast or the east coast of Florida. This makes it one of the furthest inland locations in the state. Due to its inland location, diurnal ranges are very high compared to other areas along the Florida peninsula. Temperatures drop quickly at night and frost should be expected several times during the winter months. On June 24, 2012, Venus was struck by an EF-2 tornado spawned by Tropical Storm Debby resulting in one death and property damage.